Imagine, one day you are getting ready for your office. You are searching for the most important files. You do not know where you kept it. All your shelves look alike. How would you feel at that moment? But let’s do something. If your shelves are marked with numbers carrying a meaning. You would keep your file in the most important folder like “001”. It would add to your convenience. You can also get related files from other shelves when you need. Similarly, the SIC Code and NAICS Code help you find your target industry much easily. It plays the role of a pin code for a specific area. It is also like a GPS tracker for your b2b marketing needs. What is the NAICS Code? NAICS (North American Industry Classification System) was developed in 1997. It includes business processes, service companies, products, and technology companies. Countries like the US, Canada, and Mexico use these codes in NAFTA [North America Free Trade Agreement] transactions. US government introduced SIC (Standard Industry Classification) to classify businesses. But SIC codes deal with only products. This code is difficult to classify new types of products and services. How do marketers use SIC Code and NAICS Code? SIC Code and NAICS Code can classified in broad categories. The classification breaks down into detailed sub-categories. The first two digits mention broad industrial category. Then, additional digits specify the unique details for discretion in that industry. Keep yourself updated with recent versions of the mentioned codes. The codes keep changing from time to time. For example, SIC codes 52-59 are for retail trades. Classification 54 is food stores; 541 is grocery stores; 542 is meat and fish markets, and so on. Then within the 541 category, 541103 is convenience stores, 541106 is kosher markets, etc. NAICS and SIC Code help you find potential customers from your preferred industry. Moreover, you can quickly know which industry has the maximum target audience. Planning is an essential part of a b2b marketing campaign. The presence of potential customers in an industry determines the investment for a b2b marketing campaign. NAICS and SIC Code help you target two things. They are general industry classification and specific vertical product or service applications. Some categories like motors are broad in nature. Are you targeting the manufacturers of motors or motor equipment? These codes will help you segment your target industry conveniently. NAICS and SIC Codes are helpful to locate basic contact information of your target audience. Once you get b2b data of your target audience, there is no stopping. You would never go with an unfitting dress. Then, why fall for wrong data? We have decoded 11 myths around demand generation. Click here for details. Just imagine. You shifted your residence when your family was out, but you don’t inform them. What would happen? Your family loses track of you. Similarly, when you update the b2b business details, the NAICS and SIC Codes come in handy. NAICS Code and SIC Code help you know the current status of the industry you are targeting for business. You will lose track of your target industry if you don’t use them. NAICS code and SIC Code add to your convenience in updating b2b marketing details. Being a b2b marketer, you must have a complete customer database. Mailing addresses, updated social media profile and phone numbers will add to your convenience. Hence, use the NAICS or SIC Code and build your b2b marketing campaign. Such intricate details enable you to build better buyer personas. And, these personas lead to personalization of your marketing approach. What would happen if you teach math in an English class? It leads to confusion. Students would never listen to you. With irrelevant data, you put yourself into a grave. You waste your investment and effort. NAICS and SIC Code will help you deal with your relevant industry. Insights available within NAICS code will let you select your target audience appropriately. As you work with plumbing equipment services, you usually deal with taps and other equipments related to water supply. Also, you may deal with geysers as well. The issues related to both tap and geysers fall under the plumbing services. NAICS Code offers an understanding of your product relevancy and vertical industries. What more does a marketer want beyond accuracy? Accurate information is a boon for b2b marketing. Using NAICS and SIC Code, you can connect with industries demanding great attention. A marketer can cut down on customer acquisition cost when a reliable data of the target audience is in hand. Accurate information is the prerequisite for generating qualified sales leads. The extent of precision successfully guides you through sales funnel. It would also turn your b2b marketing campaign more authentic and lucrative. Imagine a circle rotating inwards and outwards at the same time. Is it possible? Well! Please listen. I said imagine. Being a b2b marketer, you must not only focus on the specific target audience. You must build your campaign covering other relevant industries that may have indirect demand for your products. Hence, you require both the industry verticals and target audience. The first two digits of SIC Code and NAICS code is the industry title. You can use the industry title to find your specific target audience. SIC Codes and NAICS Codes are your guiding force for b2b marketing. As your campaign evolves, you use SIC Code. Using it, you design your website content. You also plan finance and funds for advertising. Industry classification codes help to guide your prospects and lead with apt content. Potential customers select their industry verticals. They find product data that solves their challenges in industry verticals. You can buy b2b lists directly from data vendors. It creates lucrative telemarketing, email marketing in a b2b setup. NAICS and SIC code provide the information of a company in your industry vertical. It does not specify mailing address or email with it. 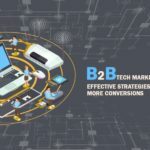 DataCaptive offers effective b2b marketing solutions to help you achieve your marketing goals. You can get updated and varied b2b marketing list. With our NAICS and SIC Code based data, you can plan your target audience and start a successful campaign. Not having NAICS code is like knowing what your file is. But not knowing where your file is. At DataCaptive, you can get your leads from the target audience. You can find your target audience based on industry, revenue, package and so on. Just log on to https://app.datacaptive.com/, to obtain your target audience from various industries. If you are unaware of recent changes in SIC and NAICS Code, we will help you. Data team from DataCaptive is glad to help you with anything related to B2B databases. Feel free to share my post with your friends, relatives, and colleagues. For more queries, log on to www.datacaptive.com. What advantage did you gain on using SIC and NAICS Code? Please share it with us below in the comments section.